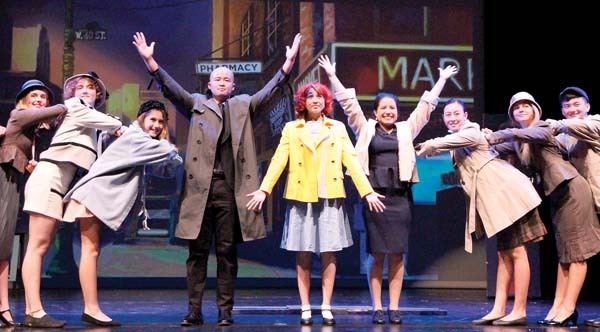 Theater’s off-season has shrunk to a mere few weeks in recent years as the 2018-19 season began last month on both Maui and Broadway. Anticipated plays scheduled are “Network” based on the 1976 film, starring Tony Award-winner Brian Cranston, and “The Waverly Gallery” featuring the stage return of legendary comedian, actress, screenwriter and director, Elaine May. On Maui, MAPA Live! just closed their exemplary production of “Into the Woods,” and ProArts and Maui OnStage’s season openers debut later this month. “Boys in Trouble,” LYDIA DANILLER photo. ProArts presents “Other Desert Cities.” Brooke Wyeth (Kathryn Holtkamp) returns home to Palm Springs after a six-year absence to celebrate Christmas with her family and announces that she is about to publish a memoir dredging up tragic event in the family’s history. Performances are at 7:30 p.m. Thursdays through Saturdays, 3 p.m. Sundays, running Sept. 21 through Oct. 7 at the ProArts Playhouse. For more information or to purchase tickets for any ProArts event, call 463-6550 or visit www.proartsmaui.com. anniversary party. His wife is nowhere in sight, and his lawyer must get the story straight before the guests arrive. Performances are at 7:30 p.m. Fridays and Saturdays and 3 p.m. Sundays, Sept. 28 through Oct. 14 at the Historic Iao Theater in Wailuku. To purchase tickets, call 242-6969 or order online at www.mauionstage.com. Also in October, Maui OnStage Youth Theater presents “Honk! Jr.” Based on Hans Christian Andersen’s “The Ugly Duckling” “Honk! Jr.” tells the story of an odd-looking baby duck, Ugly, and his quest to find his mother. Performances are at 11 a.m. Saturdays, 1 p.m. Sundays, Oct. 20 through 28 at the Historic Iao Theater. 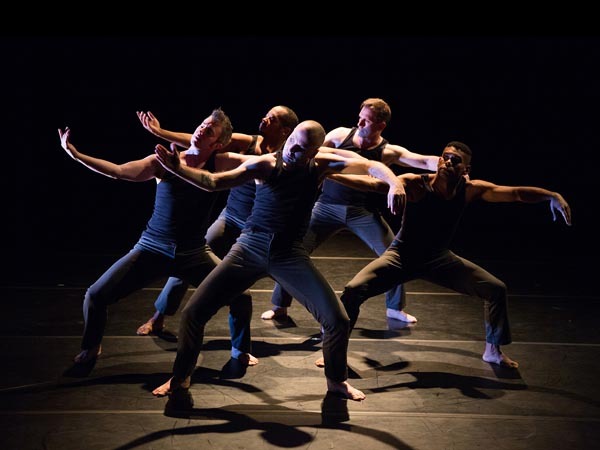 Maui Arts & Cultural Center presents “Soil,” a full-length, intercultural dance theater piece by Michael Sakamoto. “Soil” was co-created with Cambodian, Thai and Vietnamese-American performers. Performance is at 7:30 p.m. Thursday, Oct. 25 in Castle Theater at the MACC. To purchase tickets, visit the box office, call 242-7469 or order online at www.mauiarts.org. King Kekaulike High School presents William Shakespeare’s “Romeo and Juliet.” Performances are at 7 p.m. Fridays and Saturdays, and 3 p.m. Sundays, Nov. 2 through 11 at the King Kekaulike Performing Arts Center at the high school campus in Pukalani. For more information or to purchase tickets, visit www. kingkekaulike.com. Seabury Hall Performing Arts opens its season with Cole Porter’s musical classic “Anything Goes.” This 1930’s Broadway standard features many of Porter’s most famous songs including “I Get a Kick Out of You,” “You’re the Top,” “It’s De-Lovely,” “Let’s Misbehave” and the title track. Performances are at 7 p.m. Fridays and Saturdays, Nov. 9 through 17, and at 3 p.m. Sunday Nov. 18 at the ‘A’ali’ikuhonua Creative Arts Center on Seabury Hall campus in Makawao. For more information or to purchase tickets online, visit www.seaburyhall.org. Adaptations Dance Theater presents the fourth annual “Dance Maui 2018,” a festival showcasing Maui’s dance organizations as one community. Performance will be at 2 p.m. Saturday, Nov. 10 at Ke’opuolani Regional Park Amphitheater in Kahului. To purchase tickets online, visit www.adaptaionsdancetheater.com. Marc Bamuthi Joseph, courtesy the artist. 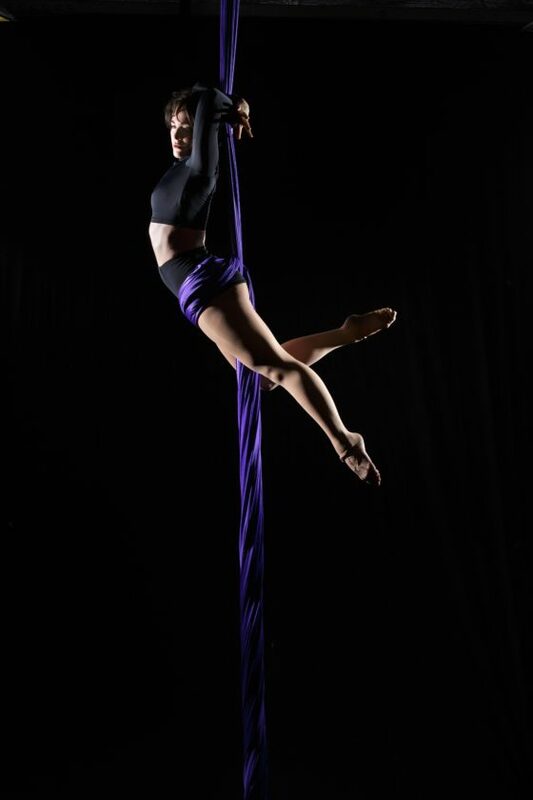 Maui Aerial Arts and Airmaid Productions present “The Map of Leaving.” This aerial dance show will feature 13 performers from Maui, the Big Island and Oahu, united to tell stories through their movement utilizing a mix of aerial acrobatics on trapeze, rope, lyra, silks, hammock and cube. Performance will be at 7 p.m. Saturday, Nov. 17 in the McCoy Studio Theater at the MACC. Also in November ProArts presents a co-production of “Vindication.” Local actress, singer and writer, Lin McEwan, debuted this play as a one-act at the 2018 Maui Fringe Theater Festival, and has since expanded her period drama based on the life of Mary Wollstonecraft. Performances are at 7:30 p.m. Thursdays through Saturdays, and 3 p.m. Sundays, Nov. 8 through 18 at ProArts Playhouse. In addition, the ProArts Youth Theater opens “Disney’s Aladdin Jr.” Performances are 7 p.m. Fridays and 10 a.m. and 1 p.m. Saturdays Nov. 30 through Dec. 8. “The Map of Leaving” is a beautiful aerial dance show; AMELIA NELSON photo. 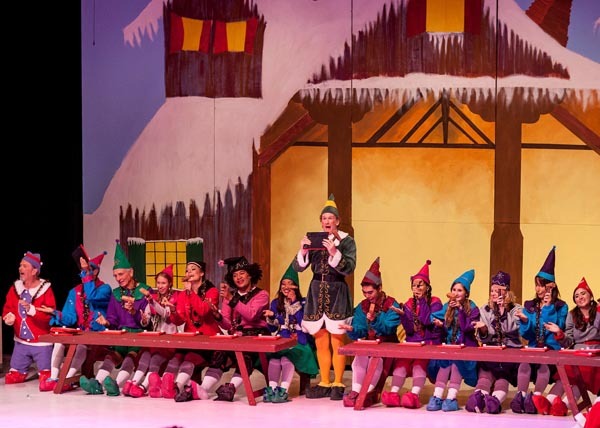 For the holidays, Maui OnStage revives one of its biggest family hits, “Elf The Musical.” Performances are at 7:30 p.m. Fridays and Saturdays, and 3 p.m. Sundays, Nov. 23 through Dec. 9 with additional shows at 2 p.m. Saturday, Dec. 1 and 8, at the Historic Iao Theater. 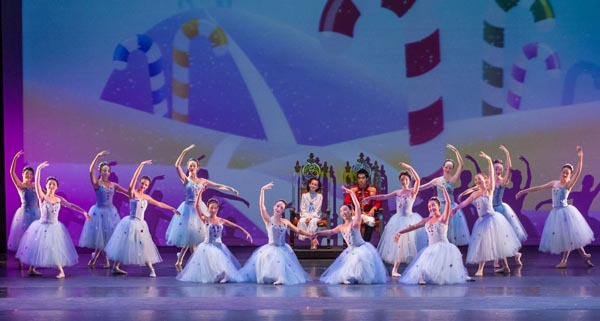 In December the Maui Academy of Performing Arts will present “Nutcracker Sweets.” This abbreviated adaptation features more than 100 dancers, stunning costumes and beautiful choreography set to the timeless music of Pyotr Tchaikovsky. 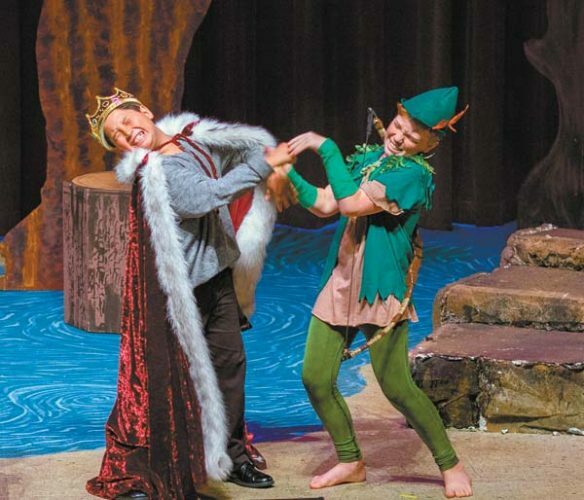 Performances are at 7 p.m. Saturday, Dec. 8 and 3 p.m. Sunday, Dec. 9 in Castle Theater at the MACC. 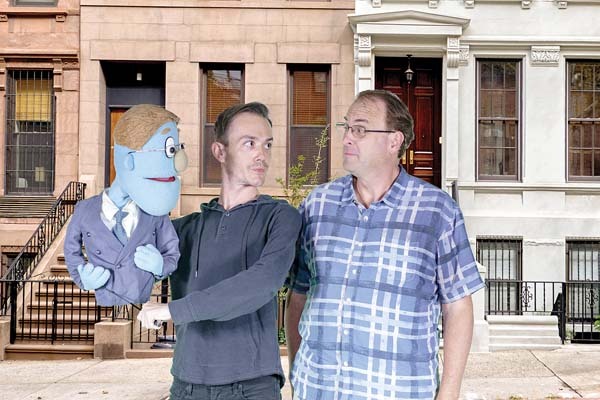 The first production of 2019 will be Terrance McNally’s “It’s Only A Play,” at the ProArts Playhouse. A wealthy first-time Broadway producer is throwing an opening night party at her Manhattan home joined by the playwright, director, the leading actor and friends as they nervously wait for the late-night reviews. Performances are at 7:30 p.m. Thursdays through Saturdays, 3 p.m. Sundays, starting Friday, Jan. 11 through 27 at the ProArts Playhouse. Led by its 26-year-old namesake, Jacob Jonas the Company, named by Dance Magazine as one of the 25 companies to watch in 2018, makes its Maui debut presenting a mix of contemporary ballet, breakdance, and acrobatic movement. Performance is at 7:30 p.m. Thursday, Feb. 28 in Castle Theater at the MACC. presents Gilbert and Sullivan’s comic operetta, “The Pirates of Penzance.” When a junior pirate plans to mark his 21st birthday by breaking free from the Pirate King, he discovers his birth date is actually February 29. Because of this contractual loophole, the Pirate King will not set him free. Performances are at 7:30 p.m. Fridays and Saturdays, 3 p.m. Sundays, March 1 through 17 at the Historic Iao Theater. Also in March, ProArts presents “Black Comedy” by Peter Shaffer, with a special presentation of Christopher Durang’s “Identity Crisis.” Written to be staged under a reversed lighting scheme, “Black Comedy” opens on a darkened stage. A few minutes into the show there is a short circuit, and the stage is illuminated to reveal the characters in a “blackout.” Performances are at 7:30 p.m. Thursdays through Saturdays, 3 p.m. Sundays, running Friday, March 1 to 17 at the ProArts Playhouse. Multi-talented theater artist and performer Marc Bamuthi Joseph returns to Maui in March with an original spoken-word piece incorporating poetry and soccer-inspired footwork. Performance is at 7:30 p.m. Thursday, March 7 in Castle Theater at the MACC. Also returning to the MACC, Moses Goods follows up his memorable performance as “Duke” in 2017 with his new one-person play “My Name is ʻOpukaha’ia.” Performance is at 7:30 p.m. Friday, March 15 in the McCoy Studio Theater at the MACC. Baldwin Theatre Guild presents the musical-comedy “Sweet Charity.” This 1960s classic, frequently attributed to Gwen Verdon and Bob Fosse, features such hits as “Hey Big Spender” and “If My Friends Could See Me Now.” Performances are at 7 p.m. Fridays and Saturdays, 2 p.m. Sundays, March 8 through 17 at the Baldwin Auditorium on the Baldwin High School campus in Wailuku. Three additional dance companies will perform at the MACC in the Spring. L.A. Dance Project aims to make new work for a small group of dancers in collaboration with visual artists, musicians, and composers. Performance is at 7:30 p.m. Thursday, March 14 in Castle Theater. Choreographer Morgan Thorson brings her “Public Love” performance, a piece with several dance artists creating a choreographed intervention on contemporary western dance culture. Performance is at 7:30 p.m. Wednesday, March 20 in Castle Theater. 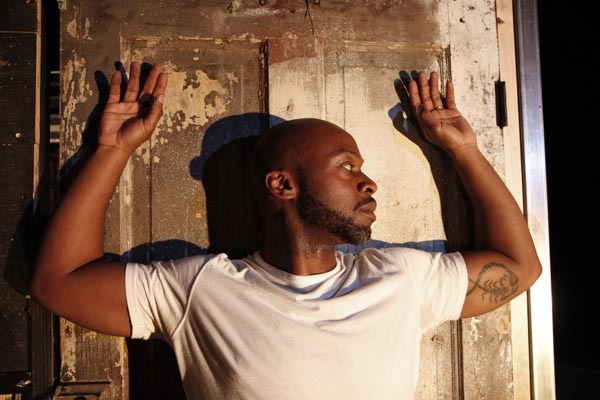 Returning to the MACC, transgender choreographer Sean Dorsey will bring “Boys in Trouble,” a production that unpacks masculinity with unflinching honesty, from unapologetically trans and queer perspectives. Performance is at 7:30 p.m. Thursday, April 11 in Castle Theater. 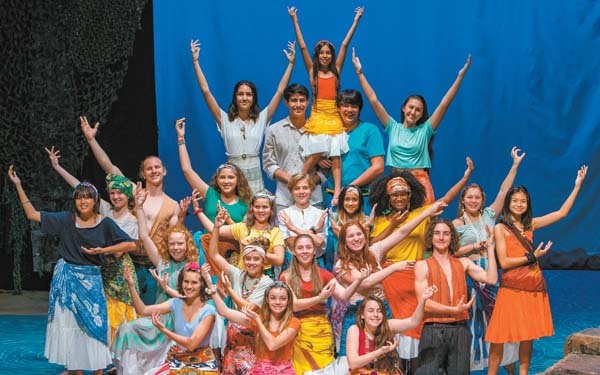 Maui OnStage Youth Theater presents its annual teen spring production with “Once On This Island.” Performances are at 7:30 p.m. Friday and Saturday, 3 p.m. Sundays, March 29 through 31 at the Historic Iao Theater. 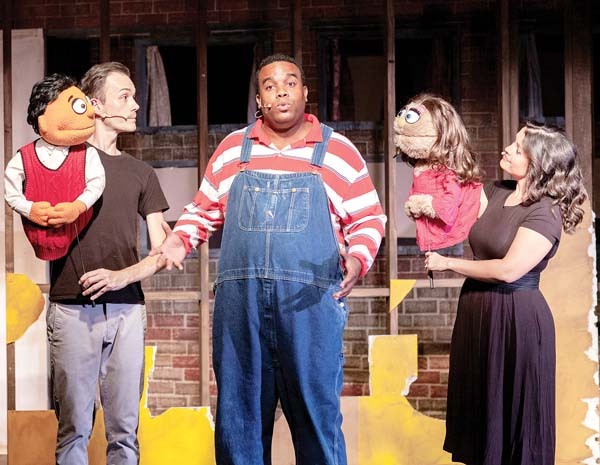 ProArts will present the Hawaii premiere of “Avenue Q.” This multi-Tony Award-winning musical and irreverent, adult comedy inspired by “Sesame Street,” presents a puppet-filled world with R-rated realities. Performances are at 7:30 p.m. Thursdays through Saturdays, 3 p.m. Sundays, starting Friday, April 12 through May 5 at the ProArts Playhouse. In the late-Spring MOS presents “The Boys Next Door.” This comedy-drama centers around four mentally-challenged men who live in a group home. 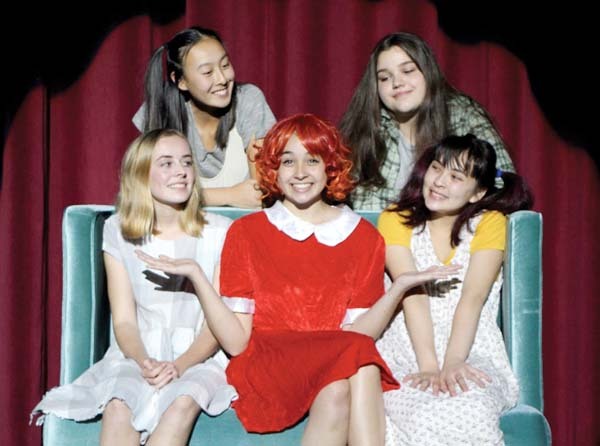 Performances are at 7:30 p.m. Fridays and Saturdays, 3 p.m. Sundays, April 26 through May 12 at the Historic Iao Theater. ProArts concludes their season with “Sleuth.” The ultimate game of cat-and-mouse is played out in a cozy English country house owned by celebrated mystery writer. Performances are at 7:30 p.m. Thursdays through Saturdays, 3 p.m. Sundays, starting Friday, June 7 through 23 at the ProArts Playhouse. Maui OnStage’s season will conclude with the Maui premiere of “Mamma Mia!” This ABBA musical tells the story of a young woman’s search for her birth father on a Greek island as she prepares to marry. Performances are at 7:30 p.m. Fridays and Saturdays, 3 p.m. Sundays, July 12 through Aug. 4 at the Historic Iao Theater.